Sliema Wanderers collected the three points in a 2-0 win over Senglea Athletic at the Centenary Stadium on Saturday. A win which enables them to keep the pace with Gzira, Hibernians and Valletta. For Senglea, this was the ninth defeat in eleven matches as they continue to share the bottom spot with Qormi. 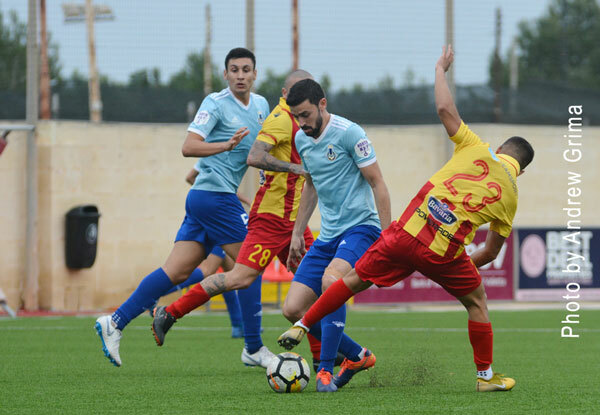 Senglea had three changes from the team which lost narrowly to Hamrun as Andre White, Braian Volpini and new signing Larson Mallia replaced Manuel Guillari, Fabrizio Bramati and the suspended Ferdinando Salvati. On the other hand, Kilian Amehi replaced Mark Scerri for Sliema. The Wanderers took the lead on the 39th minute thanks to Jonathan Pearson whose header beat goalkeeper Farrugia following a corner from the right by Kilian Amehi. Five minutes in the second half, Younes Marzouk doubled the score with a powerful drive which gave substitute goalkeeper Philip Schranz no chance. SENGLEA Matthew Farrugia (46′ Philip Schranz), Brandon Muscat, Leighton Grech, Braian Volpini (55′ Manuel Guillari), Imanol Gonzalez, Zachary Cassar, Matias Nicolas Garcia, Augusto Rene Caseres (77′ Dylan Micallef), Karl Cutajar, Larson Mallia, Andre White. Subs not used: Matthew Bartolo, Rayson Vella, Fabrizio Bramati, Romani Tchanturia. SLIEMA Jake Galea, Matias Muchardi, Jonathan Pearson (52′ Stefan Cassar), Jefferson de Assis, Ryan Fenech, Nii Nortey Ashong, Michele Sansone, Kilian Amehi, Claudio Pani (35′ Kurt Shaw), Stefano Bianciardi, Younes Marzouk. Subs not used: Timothy Aquilina, John Mintoff, Gareth Barone, Peter Xuereb, Edmond Agius, Stefan Cassar.